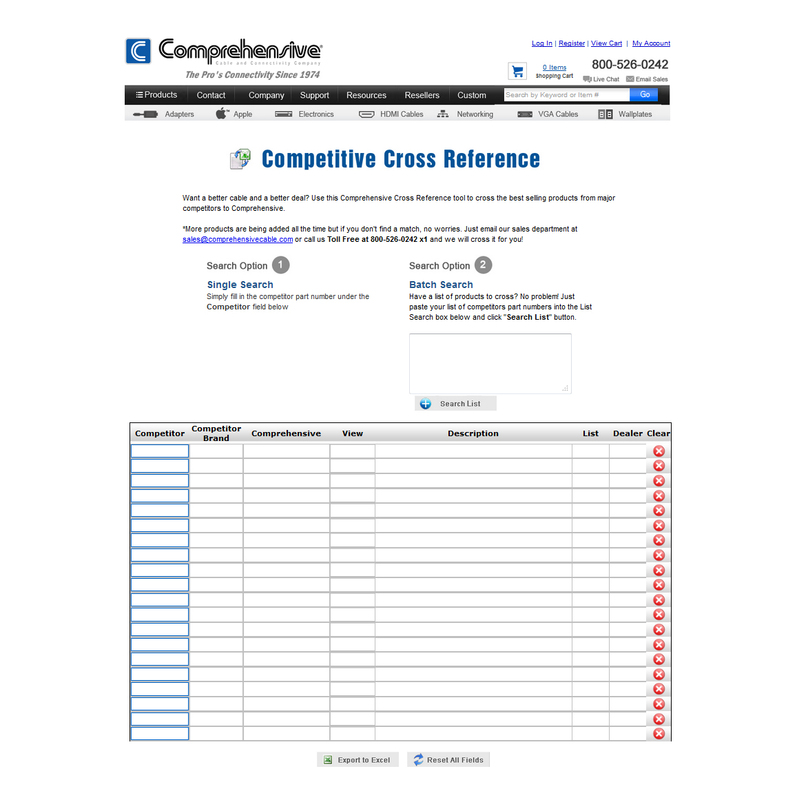 Comprehensive Cross Reference tool to cross the best selling products from major competitors to Comprehensive. The application is designed to help consumer fine equivalent products that from the competitors product. The Cross reference web application I build using PHP/MySQL for back-end data storage, and jQuery for dynamic data load field. For UI elements I used HTML5 and CSS2 with Bootstrap front-end framework. All search query includes return back link to product User can search via bulk list allowing B2B buyer can to load multiple product number. Comp Website – I designed and Build!